Local Green Homes open their doors | IT'S HAPPENING IN HEELEY! 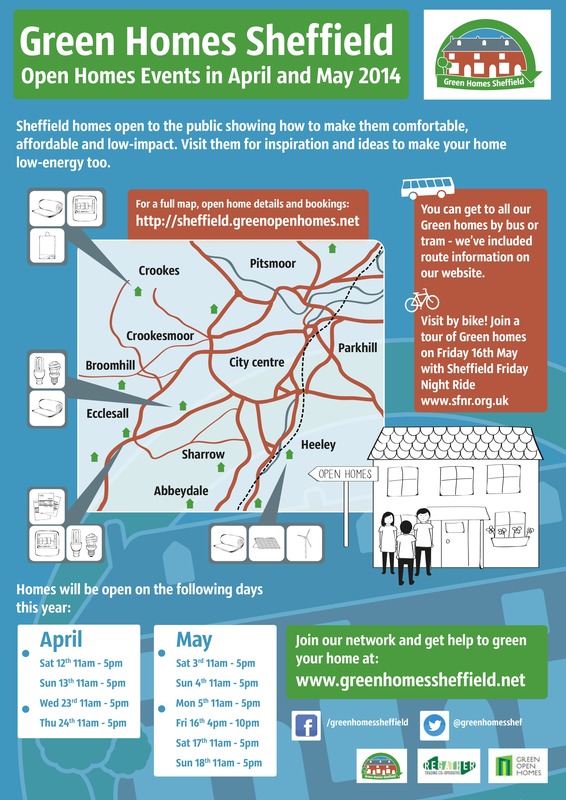 During April and May there will be a couple of great opportunities to visit several local homes as part of the Green Homes Sheffield (GHS) project. Green Homes Sheffield is a new way of helping you to make your home more comfortable and more energy efficient. The network brings together people who want to reduce their carbon footprint and their energy bills, with people who have already made the first moves, and trusted companies who helped them do it. The GHS project organises Open Homes events where you can see how other people’s homes have been upgraded, and ask the householders about their experience and how it all works. A range of different houses will be open, showing off their insulation, draught-proofing, solar panels, heat pumps, windows and low-impact extensions. The network also provides information about local builders and installers who offer energy-saving measures.